Sitting here, at night with the lights off. 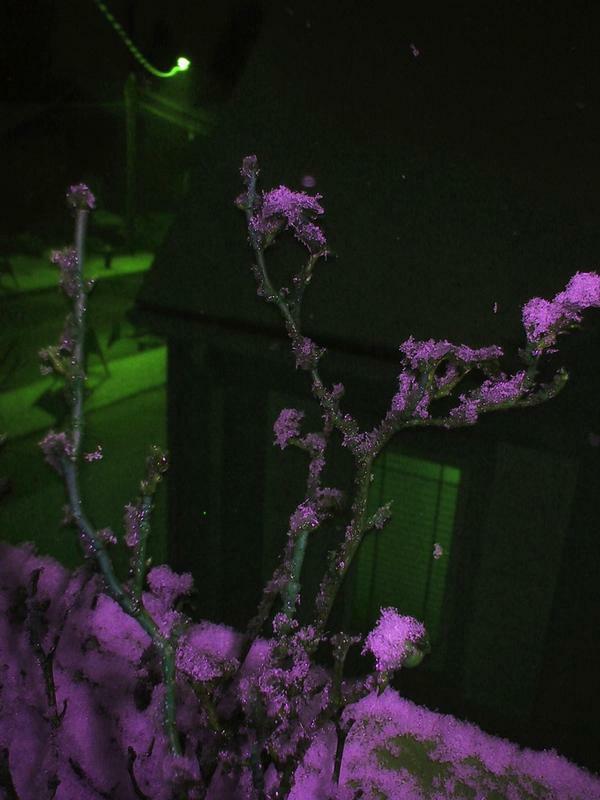 The lights outside are reflecting off the falling snow, giving it the color of industrial sodium, intense white mercury, or just some yellow brown mixture of the two. 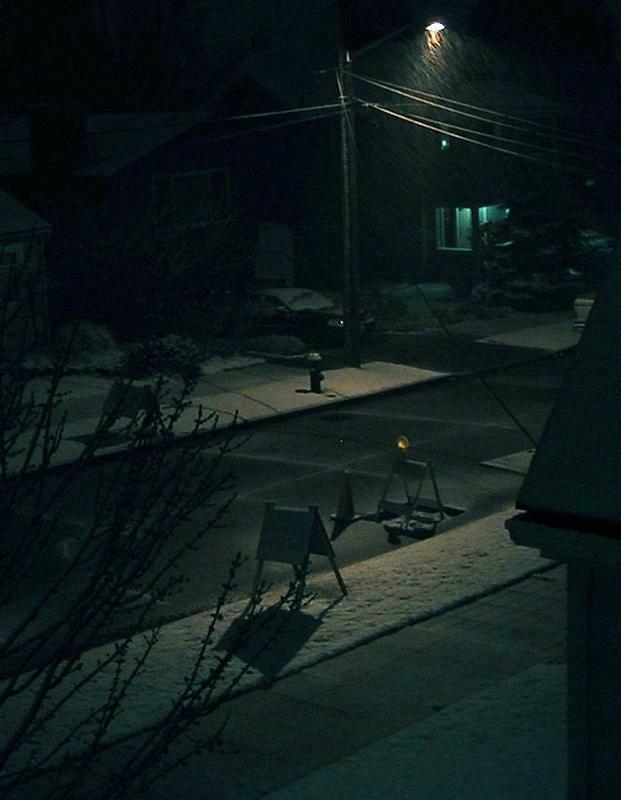 There’s something peaceful of snow at night. I miss that here. I spent 5 winters in upstate NY, were snow fell every day for months. 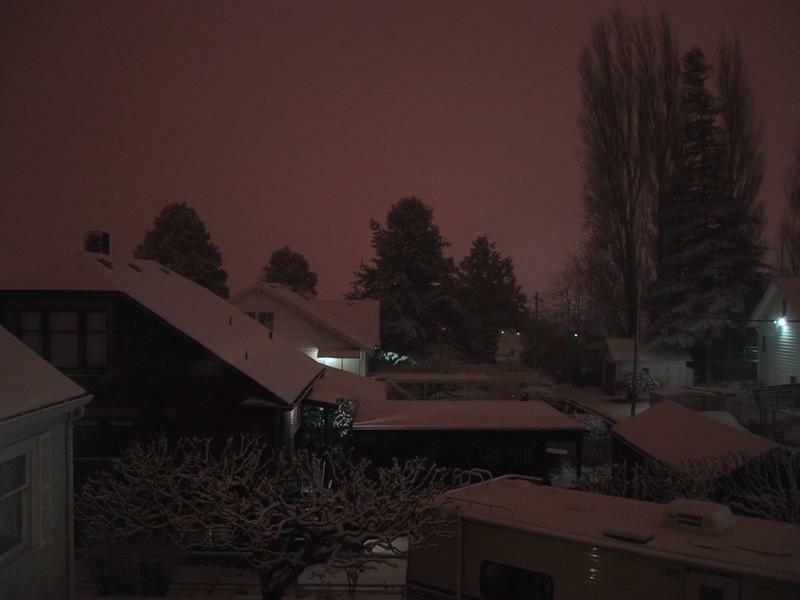 There was also less light outside my window, so the snow reflected the night, and not the city lights. It would almost be better if the colors weren’t even close to reality.